Outside view of the VFW Post's location off of Newport Ave. The controversy over the proposed relocation of the Ocean Beach VFW Outpost 1392 to a new home on the corner of Pt. Loma Ave. and Ebers St. rages on, pitting residents concerned over the reputation of the outpost’s previous home against a VFW post that suddenly finds itself without one. The primary concern centers on the canteen operated by the VFW, and worries over the clientele and the characterization of the members as a source of problems. That identity is derived directly from the previous home of the post for 27 years on Newport Ave. The central business district of Ocean Beach is well known for the litany of bars and clubs lining either side of the street, but also for the dense homeless population found in the immediate area. It is that high incidence of vagrancy that has come to define the entire Newport Ave. district and all of the businesses located there. That stigma has followed the OB VFW to their potential new home. The common perception seems to be that the VFW is synonymous with the problem of homelessness on Newport, and that the issues that plague the Newport business district will follow them wherever they go, as if the two were inextricably intertwined. Residents fear that should the VFW move in, they will see a dramatic increase of disorderly conduct incidents, of public intoxication, drunkards passing out and sleeping in doorways, and a high occurrence of urination—or worse—in the streets, alleys, parks, and front yards of a peaceful residential neighborhood. All of which are issues closely related to the high rate of homelessness along Newport. According to David Surwilo, the community relations liaison for the San Diego Police Department’s Western Division, that is not the case. “It is unfair to attribute the VFW with the homeless issues and the public intoxication issues surrounding Newport Ave.,” he said. Surwilo did note that in the past there had been leadership issues at the post, stating that it wasn’t as strong as it should have been. That situation, however, has been rectified, as was pointed out by Officer Ron Wise at a community meeting last week. Wise and Surwilo both said that once the leadership of the VFW post was confronted by the police several years ago, any internal problems were cleaned up and the group has effectively policed themselves ever since. In fact, when looking through incident reports for the last calendar year (the only data immediately available), Surwilo found that there have been no arrests made in or around the post’s Newport Ave. location. He also said that “the issues that were there were not of the magnitude of other establishments” along Newport. 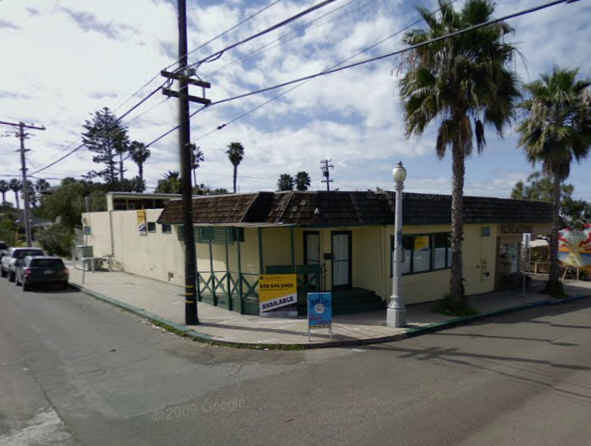 The police department cannot take an official stance on the relocation until paperwork from the California Department of Alcoholic Beverage Control (ABC) is filed with the SDPD vice unit, and a subsequent investigation is conducted into the viability of a liquor license for the group and the new location. However, Surwilo said that his personal stance on the VFW is a favorable one. “The VFW has a history of being a positive entity in all communities from what I’ve seen.” He said that there are other VFW posts that are located near parks or schools, specifically pointing to the VFW post in Lakeside. That post, he said, has been a model example of management, and does not attract “riff raff.” Neither post has been a “problematic public nuisance,” he said. But there are dozens of bars, clubs, and restaurants along Newport. There is only one VFW post, and it has a very limited and exclusive membership. Surwilo said that he has spoken to representatives from both the VFW and the community group to get their impressions of the meeting from last Friday. Both sides characterized the meeting as a positive one. The community has some valid concerns, he said, and there are some things that need to be addressed. Some of the unease, however, are past concerns that would not apply to the new Pt. Loma Ave. location. “The burden is upon the VFW to reassure the community,” he said, and there is a lot to overcome for them to gain the public’s support. It is his hope, though that the public will keep an open mind on the issue. Further meetings between leaders of the two groups are expected this week. Councilmember Kevin Faulconer’s office is currently working to get the two sides together. According to Tony Manolatos, the Deputy Chief of Staff/Communications Director for Councilmember Faulconer’s office, the councilmember himself is expected to meet with the two groups to discuss what options, if any, are available, including whether or not it is feasible to find another location for the VFW. Manolatos said that former councilmember Michael Zucchet is to be among the small group representing neighborhood residents. The councilmember, like the police department, has not officially taken a side in the controversy. Manolatos did note, though, that Faulconer’s office has been in contact with the State ABC regarding the VFW’s liquor license. And while Faulconer himself did not attend last Friday’s gathering, Matt Awbrey from his staff did and has briefed the councilmember on the questions and concerns raised by those in attendance. We have heard that there is a move by some residents and possibly business-owners from those who voiced their concerns at last Friday’s meeting at the VFW’s new location to take the issue to tonight’s OB Planning Board meeting. It should be noted, however, that the Board is prevented by law in addressing any issue that is not on their agenda. The VFW Post location is not on their agenda. The most that the Board can do tonight is listen to concerns and set the issue on the agenda of a future meeting. Thanks Andy for the followup to your previous story regarding the plight of VFW Post 1392. I’m sure we’ll all be watching, reading and listening for future developments. See ya’ in the funny papers-:) A.W.M. Your right. It was a good job. Succeed. Try to visit the area during off-hours (10 p.m. – 5 a.m.) and still assign a fail grade to above statement. AC the spin doctor…no bar on PL street. Thats the issue. End of story. This is a pretty fair representation of the issue. If you are a new resident and not familiar with Ocean Beach and Point Loma then I would suggest you further acclimate yourself before pronounce the debate finalized. I know what i say doesn’t end the issue but thats what its really all about and a neighborhoods right to preserve it for our kids. These are the streets I played in as a kid, literally on bermuda, ebers, pescadero and orchard among many others. I walked as a 2nd grader with my friends to sea trader and the store that was in the ranchos building when i was a kid for candy and rode our bikes down and thru the church lot out onto the cliffs to our little bike track in the vacant lot across from the second lot…I think in general I am more than well acclimated to the area. I hope that a good cantina location is found asap. And it would be cool to see the vfw go into the pl location without a bar and do something else that is a positive for the community. The reason I questioned your locality, is because I am sure you remember some of the bear foot drunks that walked the neighborhood back then… They were fun to hassle as a child, and we turned out Okay…. What do you think about the concessions about the canteen operating times, and the fact that they are now aware of their (maybe unfounded) reputation, and will be on their best behavior? Don’t they deserve your benefit of doubt? My initial reaction was the same as yours, but I think they make a pretty good case that their reputation was a consequence of their former location, not their membership. I dont think the hours really makes a difference. More drunk drivers on our streets is all I can think of. I would be counting the days until a vfw patron heads down ebers to avoid sunset cliffs because they are intoxicated, they miss the stop sign at orchard, where I live, and tbone a car coming down the hill. Even though we have the very small amount of business zoned street there it is primarily a residential area with little or no noise at that location at night other than cars driving by. Will they be noisy when they step outside to smoke? You bet they will. 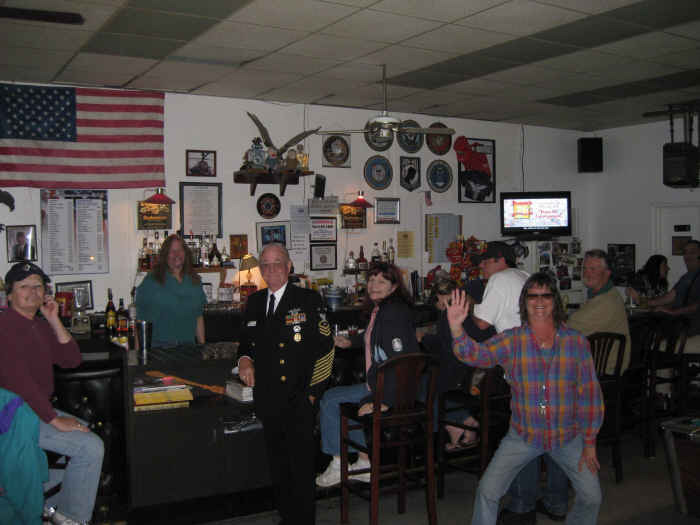 How will a location on voltaire or rosecrans really make any difference to the vfw? Both have drinking establishments already and the VFW could be a great addition to those areas. It seems to me they would want to go somewhere that wont be a new problem for them, their guests and the community like the newport location has been in the past. A rather weak argument Bob. Every point you give could happen whether or not there is a bar there. I’m quite sure there are people who live in your neighbored who go to bars on Newport, Voltaire, etc and drive back in less than stellar conditions. Not excusing getting behind the wheel while intoxicated, but you know good and well it happens regardless of the existence of a bar in this location. what then would increase the amount of drunk drivers on our streets if the vfw did not go in? Ur logic is faltering. And yes there are already more than enough drunk drivers on our streets hence my point we do not need another source to add to the problem. common sense. Heaven forbid there are people drinking within only so many yards from a church. That might offend then thar church goers. Can’t have that. That’s a load of crap and you know it. If it was a high end wine bar that was going in, you or anyone else would have no problem with it. More likely than not, you would be more than happy to have the kind of bar YOU would go to and be able to walk to it from your house and walk back, or a nice restaurant with a full bar, but it’s not. It’s a VFW and you just don’t want what you perceive will be a bunch of crusty old guys hanging out and getting drunk. Ian was being too nice to you. My opinion is either get acclimated or find another area of San Diego to move to. u guys think you got it all figured out but I was born on del monte street and lived here my whole life so think again. acclimate yourself to getting over yourself. bobob – me thinks that you need to get out more. leave ob for awhile, gain some worldly experience, come back and appreciate the community even more. where should I go next bodysurferbob?…. love these comments, they get funnier! OK so you’re from there and grew up there. Good for you. I still think you’re full of it with the statement “no bar on PL street”. You and everyone else would be stoked if it was the kind of bar YOU would patronize. Don’t tell me you would not like to have a place you could walk to and from your house where you could relax, have a drink, You’re in San Diego, more specifically OB, not the Bible belt in the middle of Kansas. What it is you don’t want is the kind of place that you think a VFW cantina would be in the La Jolla of OB. No, I will pass on any and all bars at that location or anywhere on PL street. Sorry to bum you out. Sorry bro, I don’t believe you. LOVE that song! One of the female contestants on “Rock Star INXS,” Suzie McNeil, sang an INCREDIBLE rendition of it a few years ago! SO good! Nice reporting, Andy! I love how your account is anchored by facts and testimony from folks who have valuable information to share, like Officer Wise, Officer Surwilo, and Principal Johnson. In my opinion, the facts on the table clearly suggest the VFW will be fine in its new location on Pt Loma Ave. I am not sure I understand why Michael Zucchet is involved. If I remember correctly he was involved in a court case dealing with strip bars and was found guilty by his peers, until the judge pardoned him. Some people claim parking will be an issue but the location was an eatting establishment in the past. Some people claim it is to close to schools, but there are a few schools close to Newport Ave and it is working out just fine down there. Some people claim it will add drunks on the sidewalk and doorways and homeless to the area. To those I say open your eyes the vets of america are not all of the drunks and homeless you see in San Diego. The VFW and clubs like the Elks and Lions are huge financial and volunteer contributers to communities. OB Guy- After Zucchett left public office he began working for developer interests specifically w/ the El Cortez in a dispute v. their tenant owners. I don’t know who he’s working for now but it definitely aint for the common good! In this case, he’s a resident of this particular neighborhood, so that’s how he became involved. The fact is, though, that through his former role as a city councilmember, he has a lot more connections and a lot more influence than other members of the community. And he’s apparently been in direct contact with Faulconer.